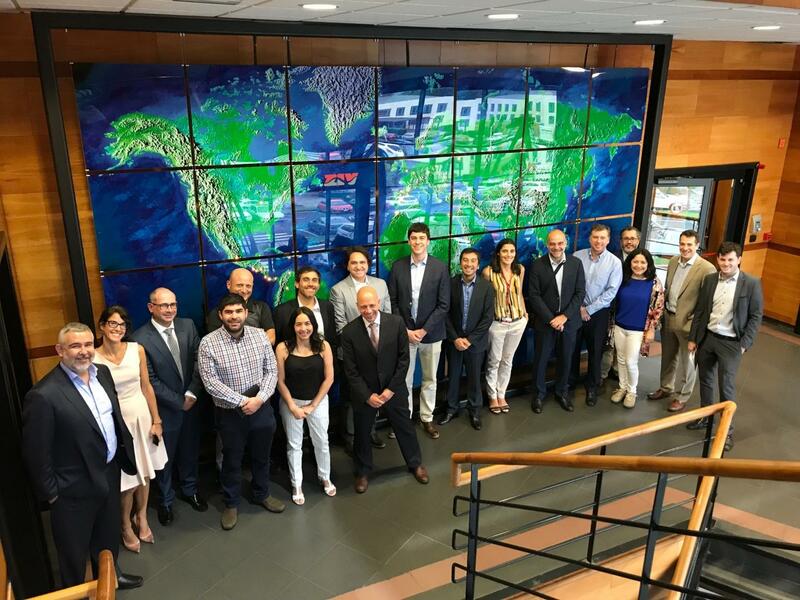 On 11th and 12th July 2018, the Basque Energy Cluster, in conjunction with Empresas Eléctricas A.G., the Chilean Electricity Companies Association, organised a reverse trade mission with the main Chilean utility companies, focused on monitoring, measurement and control systems. These included Enel Chile, Chilquinta, SAESA and CCGE, which visited diverse facilities of the electrical sector on the Zamudio Technology Park and attended a seminar with companies from the electric networks sector. The objective of the Chilean utility companies and the national government, which is to improve the country's electric networks, applying state-of-the-art monitoring, measurement and control systems, has been growing since the Basque companies visited Chile last year during the mission organised by the Basque Energy Cluster. As the objectives and regulations of the Chilean government have been adapting to the new trends in the sector, interest in the systems developed by the Basque electric companies and the policies adopted in the leading European countries has also increased. Due to this growing interest, this reverse trade mission was scheduled with Empresas Eléctricas A.G., which came with the country's main utility companies and government representatives, including the Ministry for Energy and the National Energy Commission. The Chilean organisations visited the Tecnalia, Ingeteam and ZIV facilities for two days, during which time they expressed interest in the products developed by these entities and their compliance with European and international regulations. To round off, a seminar was organised in the Bidelek showroom in which the Chilean companies expressed the reason for their visit and various companies from the Basque electric sector (Arteche, Ormazabal, Aclara or Alkargo) presented their capacities to help Chile in its transformation towards a smarter electric grid. This incoming mission was a direct result of the activities carried out during REINA PLUS project, funded by COSME programme of the EC.